Two weeks ago we announced SPUF vs. Discussions II: Requiem, where the two Valve TF2 forums pit each other in a 3-map highlander match to determine who was better. The results are in: SPUF won the first round of koth_badlands, but Discussions rallied and won the next two, taking badlands. 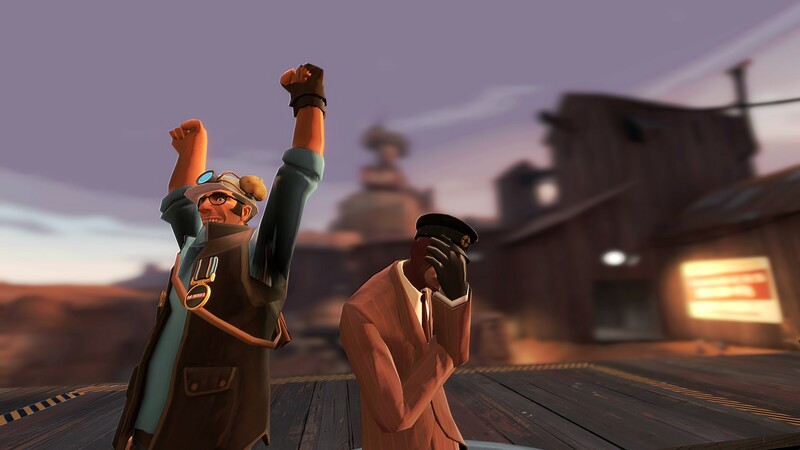 After that Discussions won cp_granary twice in a row. As that’s two maps out of three to SPUD, they win the tournament. Thanks for joining in everybody! We’re not sure what the next SPUF event is going to be, but stay tuned, there are more coming your way!